Scattered across my desk are note cards imprinted with countless lines of green ink, the errors in my video game that I have already fixed. On the screen, my character stands pointlessly in the middle of the lawn, unable to go anywhere. She tries to complete a recycling quest — that’s broken. She tries to play a mini game — oh that’s broken, too. And the person she’s supposed to talk to in order to advance the game to the next scene? M.I.A. by telling myself that I was going to finally complete the first alpha for my game, and release it to the world for people to play and tell me how to polish it. At least, this was my goal for this past weekend. The particular broken scene I’m mentioning has given me problems for weeks now. It’s a classic problem that results from amateurish programming. So many switches in RPG Maker MV I forgot to set correctly; so many controls I didn’t turn on. Like an algebraic equation, if one thing is off, the entire sequence lacks logic, and completely fails in execution. Developing my own game has been a rewarding, ambitious experience. I first wrote about it when I was working for Kotaku. 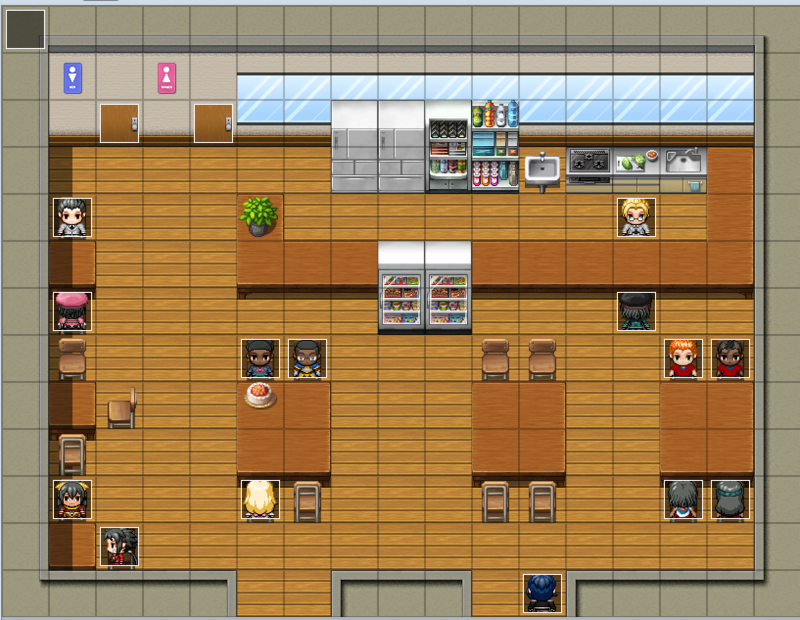 RPG Maker MV was an impulse buy for me, something I hadn’t expected to follow through on at first. At most I figured that I would try to make a small, short game just using the assets that were provided to me. But soon I found myself expanding upon my idea, adding detail after detail, until soon I was typing up a script and spending hours smoothing through every single bug. I was hooked more than I expected to be. No, I wasn’t just going to make a game, I told myself naively, I was going to make a masterpiece! I mean, if you can call a disaster a masterpiece. The other problem with this whole process is that as soon as I discover how to solve one problem, there’s another problem that pops up that I have to fix. And I, being as inexperienced as I am, have to spend my time combing through each and every event I’ve created, checking the dialogue and controls set for every character, searching for what threw everything off. Part of it is also coming up with these big ideas and finding ways to execute them. I’m a natural when it comes to over-complicating things. I’ve spent countless hours poring through YouTube tutorials, scribbling away in art programs using my Wacom tablet, and surfing the Internet for new ideas. Inching ever so close to my goal keeps me determined. One more playthrough, one more hour to spend tweaking the code, one more page worth of sketches. I yearn to improve. I want people to be blown away by the amount of effort I’ve put into it, even if it’s just a fraction of what it’ll take to make the final product something truly remarkable. 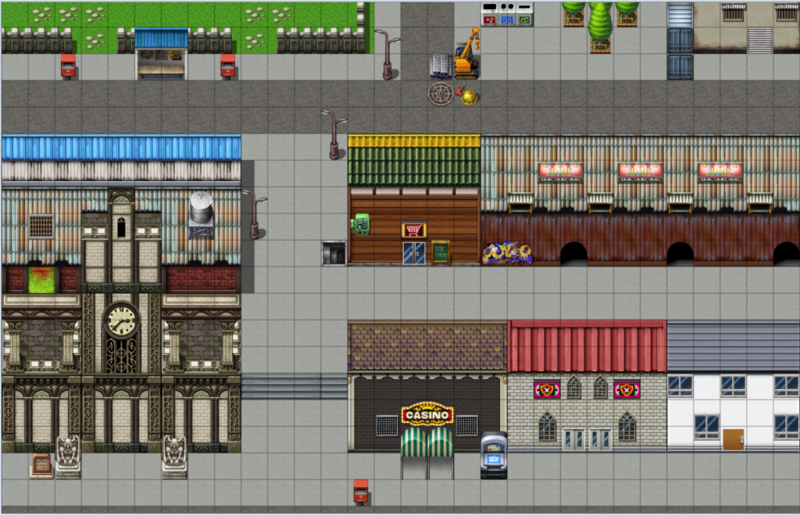 My concept is somewhat unusual, which I think also makes this difficult, because most RPG Maker games are set in fictional fantasy lands a la Games of Thrones or Lovecraftian nightmare-scapes. My game is called Grunge, and it’s set in a fictional Southern high school in the 1990s. It’s a coming of age story focused on one awkward teenager, Seraphina, as she learns to navigate the complexities of adolescence while also trying to deal with her feelings for her best friend, Carmen… who has a boyfriend. A boyfriend that happens to despise Seri and serve as one of the main antagonists for the game. Seri, Carmen, along with their friends Brandy and Candace, go on quests together and have adventures in their hometown. Adventures such as beating up schoolyard bullies, helping classmates out with personal problems, and even doing things that are well… questionable in legality. I plan to make the game so that you can play it as a fighter–brawling with every single person you meet–or choosing to help people instead. Obviously, not everything has been entirely figured out, but that’s okay. The more things I learn, the more things I fix. And while at times that realization can be frustrating, overall, its deeply satisfying. You can read more about the development of my game, Grunge, on my other website here.